Come and join us at the launch of Build Peace 2018 and learn how you can take part and contribute to this exciting international conference. Every year, Build Peace brings together practitioners, activists, academics, policy makers, artists and technologists from around the world to share experience and ideas on using technology, arts and other innovations for peacebuilding and conflict transformation. 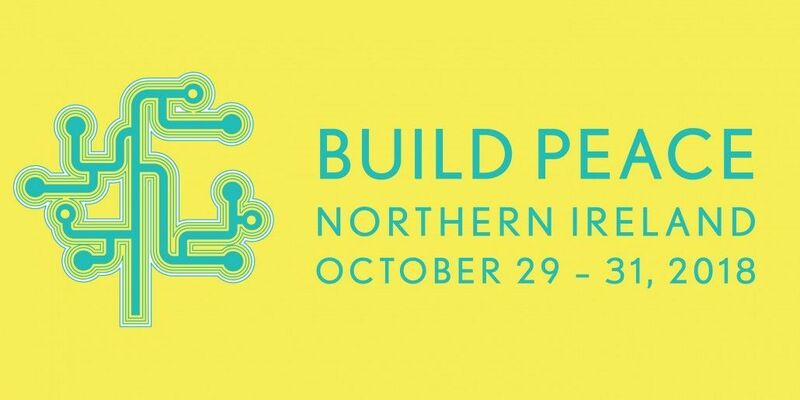 Build Peace 2018 is coming to Northern Ireland! It will take place from 29 – 31 October at Ulster University, Belfast. We will be Re-Imagining Prosperity and explore how technological innovation and creativity re-shape the economic opportunities, economic organisation, and economic power that impact how we live together in peace – in the Global North and the Global South alike. •	Creativity & Reconciliation: How can creative and digital economies contribute to reconciliation and coexistence? •	Inclusion & Social Cohesion: How can creative and digital economies help secure access to prosperity for all in conflict and post-conflict settings? •	Sustainability & Resilience: What new or under-utilised modes of organising linked to creative and digital economies contribute most to community resilience to conflict? Programme will include short talks, dialogues, workshops, unconference, interactive exhibition, hackathon, film night and game jam. You can apply to contribute here: http://howtobuildpeace.org/registration by 30 June 2018. We are excited to hear your ideas! Build Peace 2018 is brought to you in partnership by Build Up, Centre for Democracy and Peace Building, and our academic partner Ulster University. Read more at: http://howtobuildpeace.org.